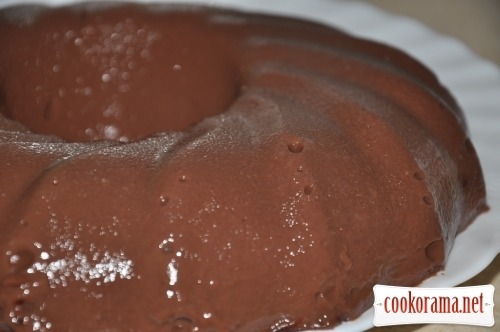 One of my favorite desserts — chocolate pudding! I do not buy pudding in bags, I cook it myself Try it you! Mix dry ingredients in bowl and pour with some cold milk (1-2 glasses), mix well to get smooth mass, then mix all this with egg. Meanwhile, bring rest of milk to boil and pour chocolate mass in boiling milk, simultaneously stirring and not stopping to stir intensively until the mixture thickens (actually bring to a boil again, but not boil). Pour viscous thick mass in the cold form or molds and let them cool completely. Then turn it on a plate and pudding is ready for consumption. 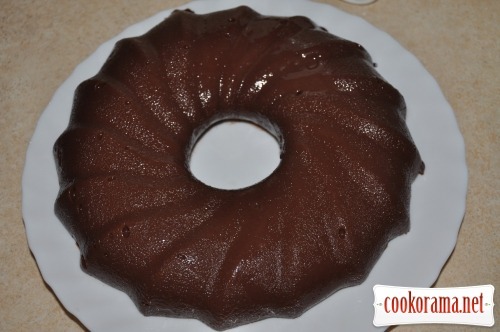 Top of recipe "Chocolate pudding"
І я такого хочу скуштувати! О, я в гості, я в гості!!! Юля, дуже сподобалось, забрала собі. Машуня, чекаю тебе в гості!